As the Scottish saying goes, “Charity begins at home, but shouldn’t end there”, we at Brite Dental understand the value of giving back not just to our local communities but also to those around the world. That’s why we are a member of B1G1. Together with our patients, we are making a difference socially every single day, thanks to B1G1’s special art of giving. B1G1, which is short for Buy 1 Give 1, is a social enterprise based in Singapore that was set up more than 7 years ago. The idea behind this non-profit organisation is to give back via a daily business transaction. B1G1 is managed by an enterprising team with a social conscience who hail from various corners of the globe and have diverse backgrounds. Today, B1G1 has over 2,000 members. What is special about B1G1? 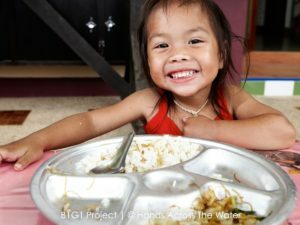 B1G1 makes it possible to give back to the community with any of its low-cost projects for as little as US one cent. As Homer said, “The charity that is a trifle to us can be precious to others”, true enough, for example, US 80 cents make a big difference in countries like Ethiopia. 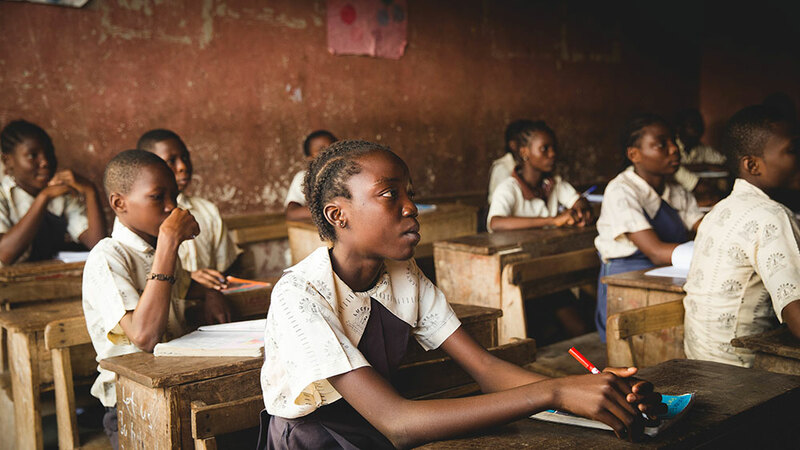 Each time a B1G1 member like The Brite team makes a business transaction, a tiny portion is given back for the social development and well-being of different communities around the world. When totalled for the day, it can give an amount that makes a huge positive difference to one corner of the globe. What you take for granted for every day, basic amenities like toilet and safe, clean drinking water are things that are hard to come by for those living in specific parts of the world. 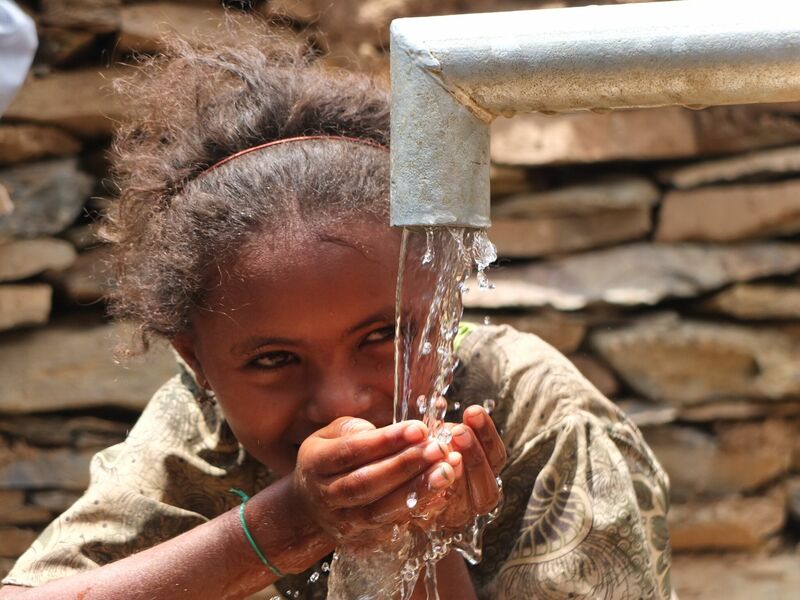 Some of the small cost projects by B1G1 are provision of safe drinking water, prevention program of child blindness, provision of clean water access, vaccination of dogs against rabies and provision of access to a basic amenity like toilet. So if you sign up with Brite Dental as a new dental patient, you too give back to those who are in dire need via us. If you are one of Brite Dental’s existing patients and decide to follow one of our dental plans, you too are making a difference. As a B1G1 member, we at The Brite group give back to various communities via our chosen high impact B1G1 projects. What’s more, you can see every single CSR impact we made in real time via the Google map on our website. B1G1 offers hundreds of high impact projects that were carefully screened and are in accordance with sustainable development goals as set by world leaders for the selection of its members. Some of the projects that we at Brite Dental chose previously are provision of blankets to insulate a child during winter, nourishing meals for refugee children and educating a disadvantaged child. By signing up with us as a new patient or for one of our dental plans, you too give back to the community. Don’t worry, there’s no extra charge to you in any way. It’s our small way of actively contributing to a huge positive change in the world. It’s true that beauty lies within but there’s no denying that physical beauty appeals to a person’s senses, giving him or her a feeling of well-being and joy. So, it’s no wonder that today, facial aesthetics holds key prominence. Non- surgical facial aesthetics procedures are now commonplace treatments provided by dentists across the UK. They have evolved over the years as advancements in products and techniques have been identified thus causing significant cosmetic enhancement. 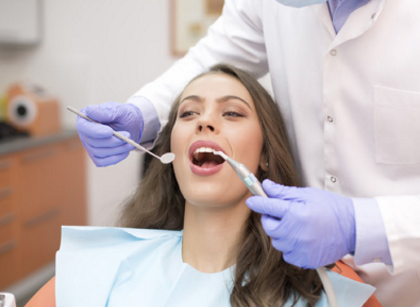 The procedures require minimal or no downtime at all. Anaesthesia is not required, and because the needles used are so fine patients report only mild discomfort. Wrinkles on your face can be reduced or even removed altogether with facial aesthetic procedures by Brite Dental. As you know, first impressions count whether it is for an interview, a date or any other important meeting. Also, to be able to look at yourself in the mirror and see a face that looks younger and wrinkle-free can work wonders on your self-esteem and boost your morale. Apart from anti- wrinkle injections, there are other things you can do to rejuvenate your look. Let’s say your lips are not as full as you would like them to be. Perhaps, you have thin lips that disappear when you smile or you feel that your entire face is less symmetrically balanced because of the structure and volume of your lips. Redefining or enhancing your lips is possible with facial aesthetics. There are various types of treatments that you can choose for enhancing your physical appearance. Two key ones are lip fillers and anti-wrinkle injections (Botox). Wrinkles do not only appear when we are older, sun exposure and smoking can cause wrinkles to appear even when we are young. Believe it or not, too much laughing can cause wrinkles. 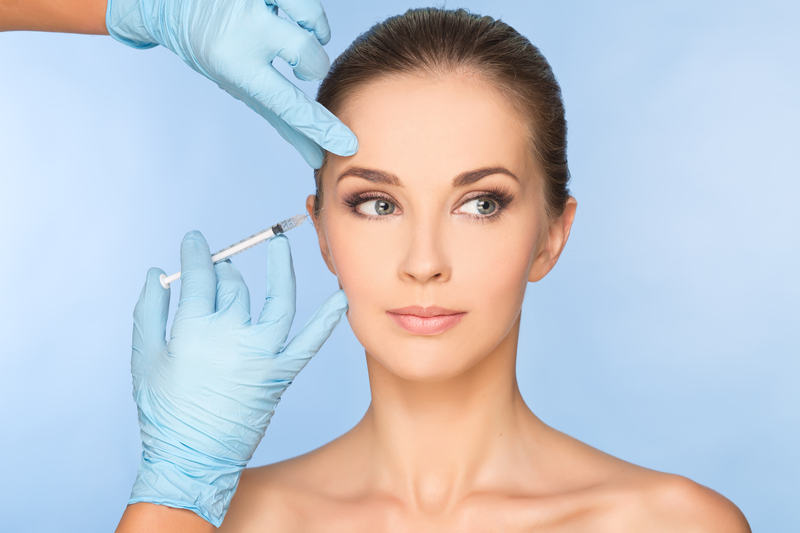 Anti- wrinkle injection treatment is a simple and quick procedure where no anaesthesia is required. Botulinum toxin is injected into the targeted areas and the toxin blocks motor nerve transmitters so that the muscles can’t contract thus end up relaxing. As a result, the skin above the muscles becomes smooth especially after continuous treatment. The results of the non-invasive Botox procedure normally last for 3 to 6 months. Lip Filler treatment begins with local anaesthetic being applied to your lips to numb them before the fillers are injected in a tiny dose into the concerned area of the lips. The lip area is then massaged to smoothen the product. This non-surgical procedure usually takes around half an hour and the results are immediate. So, you get to enjoy your new pout right away! The benefits of our facial rejuvenation treatments are endless. 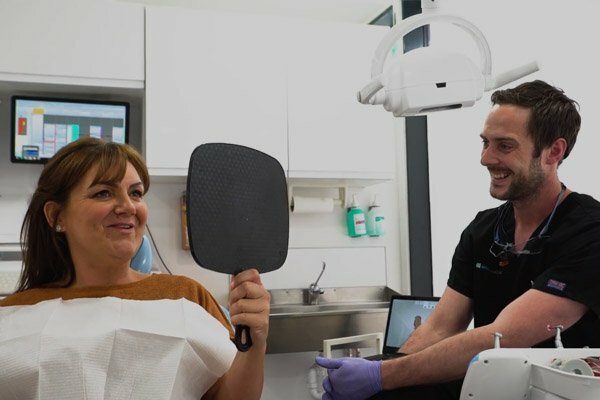 Whether your aim is to eliminate frown lines, restore your skin’s hydration or perfect your pout you can be sure you are in safe hands at Brite Dental. To select the best solution and treatment for you, simply consult one of our facial aesthetic experts today! When your child is going back to school, you have lots to think about such as buying school books, clothing and other items. 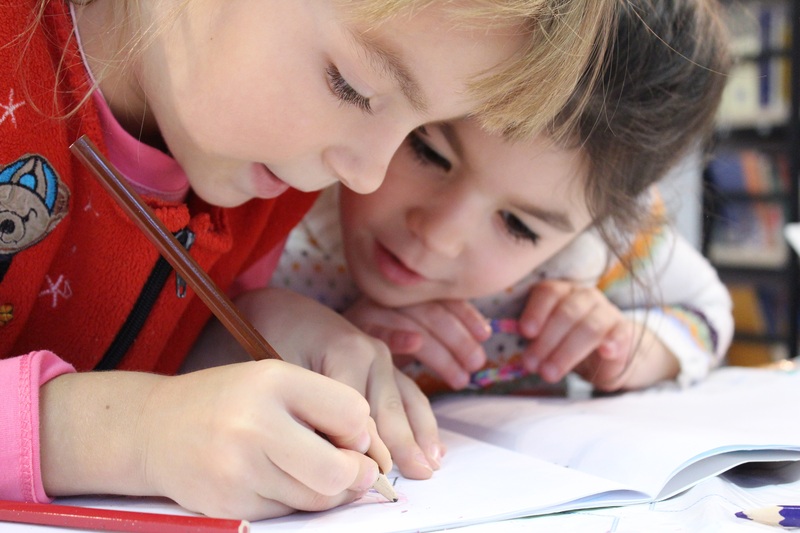 The thought of including a dental check-up as part of your child’s going back to school preparations may not enter your mind. But according to the American Dental Association, a dental examination for your child is truly vital. 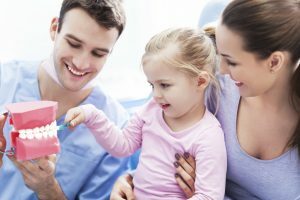 Why should you take your child for a dental check-up? Generally, children favour sugary food items and when combined with improper dental care, it can lead to tooth decay. True enough, according to the American Dental Association, one of the main reasons for children’s absences from school is dental suffering or pain. Dental pain can affect a child’s speech, learning, eating and other daily activities. 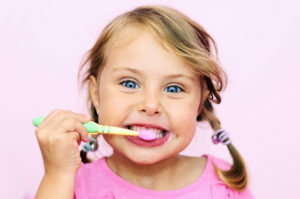 Just like adults, children are also advised to visit the dentist for regular check-ups every six months. Even with diligent flossing and brushing, there might be some hard to reach places in the mouth where food particle accumulation is possible. Professional cleaning by one of the Brite group dentists ensures whatever build up or teeth stains are effectively removed. What can Brite Dental experts do for you? A dental expert would check the overall condition of your child’s teeth. Asides from checking for cavities and advising about possible tooth filling, the dentist would also check the overall teeth alignment. 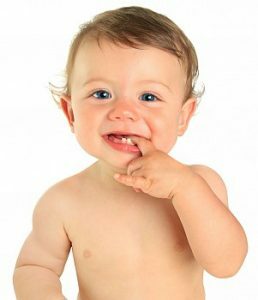 A milk tooth normally first appears when a baby is around six months old. Milk teeth are gradually replaced by permanent teeth when a child is around six or seven years old. So, a dentist also checks the progress of your child’s permanent teeth, ensuring that each tooth is erupting properly. Let’s say that your child has a set of permanent teeth. If there are any orthodontic issues, the Brite team can talk you through the different teeth straightening treatments available at the practice. Even if the issue is merely cosmetic, it should be addressed properly. This is because it can affect a child psychologically, creating lower self-esteem among other things. So, taking the necessary step for proper teeth alignment when your child is still young is truly important. The dentist may decide to take X-rays for checking the actual condition of the root system and determining if there is any tooth decay that can’t be visually seen. Professional cleaning of your child’s teeth by the Brite group experts not only ensure the whiteness and cleanliness of teeth but also gums, providing good oral health. As you may know, children are more vulnerable to diseases compared to adults and good oral health is vital for the prevention of diseases. Another thing the Brite dental team can do is apply fissure sealant to your child’s teeth. The sealant is usually applied to the chewing surfaces of teeth. It is normally a thin coating which prevents the accumulation of food particles. The sealant treatment normally lasts for a few years. 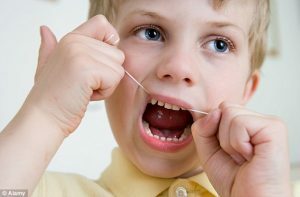 As well as discouraging your child from taking too much of sugary food and drinks, you should ensure that your child brushes and flosses the teeth at least twice a day, before going to bed and after getting up in the morning. Encourage your child to eat healthy snacks like fresh fruits, yogurt and vegetables which are healthy for your growing child. Similar to adult toothpaste, your child’s toothpaste should also have fluoride, which protects the tooth enamel against bacteria and plaque. When it comes to your child’s toothbrush, get one that makes a nice fit into your child’s mouth with bristles that aren’t too soft or hard. Also, it’s advisable to change your child’s toothbrush every three months. This is because children’s toothbrushes aren’t normally robust and the bristles lose their splay and strength sooner compared to adult toothbrushes. For preventing any form of teeth damage during sports or rough play, get a custom-made mouth guard for your child from the Brite group. Brite Dental are happy to be part of the Childsmile programme for Scotland. The core of the programme is to create access for families who would not otherwise have access to dental services for their little ones, particularly those areas with poor child dental care. If you have any questions or concerns for your child’s oral health, then please feel free to contact your local Brite Dental Practice today. National Smile Month is UK’s largest and longest- running campaign to promote good oral health. One of the key messages this campaign highlights is to cut down on sugary foods and drinks. 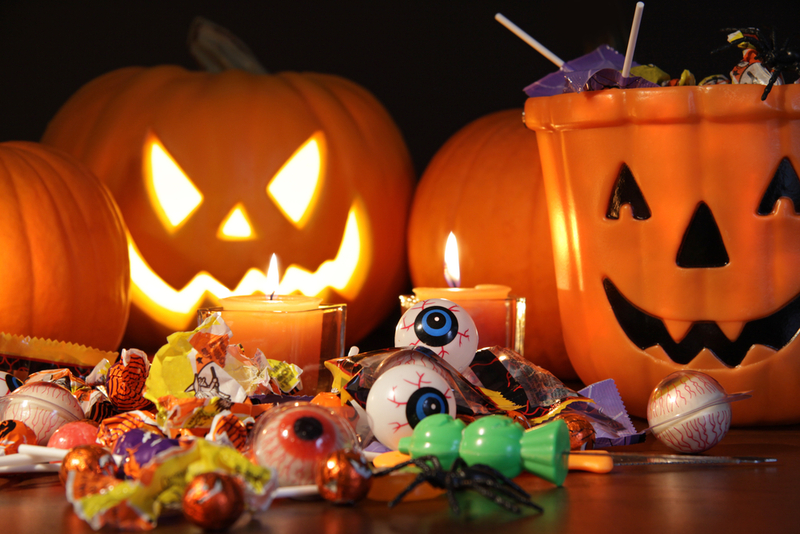 So, we thought it would be a good idea to put together some tips on how you can do just that! The foods you eat affect your teeth and gums as well as your overall health. A poor diet can lead to tooth decay and gum disease. Foods high in carbohydrates, sugars and starches greatly influence the production of plaque acids that attack the tooth enamel. Eventually these acids can cause tooth enamel to break down, causing the formation of a cavity. 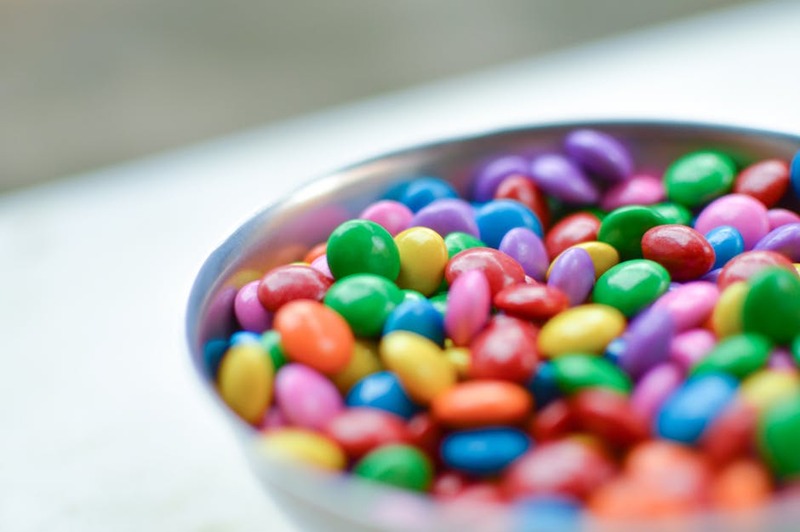 Foods that contain sugars of any kind can contribute to tooth decay. 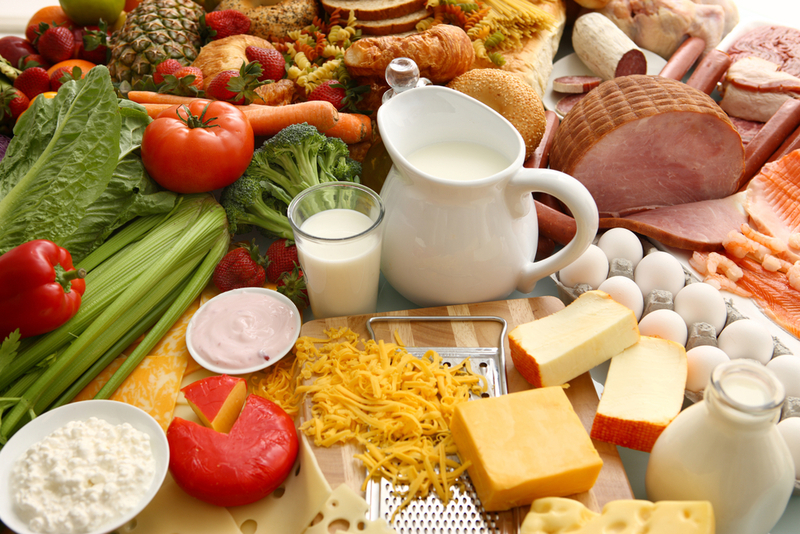 Almost all foods, including milk and vegetables, contain some type of sugar, however these foods are a necessary part of a healthy diet, because many of them also contain important nutrients. Try avoiding foods and drinks with added sugars, you will find these present in fizzy drinks, fruit juice, energy drinks, sweets, biscuits and pastries. A varied diet that is rich in vitamins, minerals, fresh fruit and vegetables can help to prevent gum disease. If your diet lacks certain nutrients, this can make it more difficult for tissues in your mouth to resist infection. What foods should I eat to help maintain a healthy mouth? 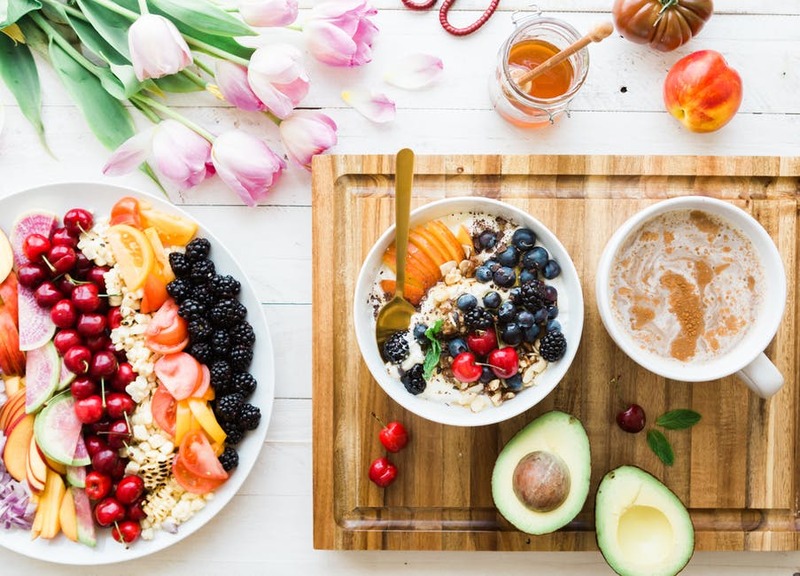 Most of us are aware of the importance of good oral hygiene habits and try to maintain a regular brushing and flossing routine, however often we forget about the impact food can have on our teeth. Apples are full of vitamins and the skin of the apple scrubs against your teeth which helps remove plaque and stains. 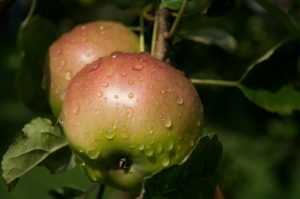 Furthermore, they are great for getting rid of bad breath as the acidity of the apple helps kill any bad bacteria that may be the cause of this. Spinach, lettuce and other leafy green vegetables come with a huge variety of health and dental benefits. As well as antioxidants and iron, they are full of beta- carotene which helps keep tooth enamel strong. Fatty fish such as salmon and tuna contain omega-3 fats which break down the inflammation that occurs when bacteria irritate gums. 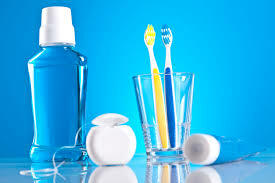 They also provide us with minerals and vitamin D which are key components to strong teeth and jaw bones. Drinking plenty of water and eating a well-balanced diet will help keep your smile healthy. If you choose a snack, choose nutritious foods such as low fat and fat-free dairy foods like cheese and yoghurt. Nuts and raw vegetables are also tooth friendly snacks. Here at Brite Dental, we are passionate about great oral health, and that’s why we are happy to support National Smile Month. From the 15th May-15th June 2017 dentists and orthodontists around the country, along with various other organisations, are placing a focus on the importance of oral hygiene and of taking great care of your teeth. It is the longest-running and largest campaign of its type in the UK. The campaign has been running since 1977, and since that time is has continued to grow and gain more support. It was designed to improve communication between dentists and their patients, and to improve the oral health of the nation. The campaign has also expanded to the USA and makes a huge impact on social media. Over 60 million people took part worldwide in 2016. 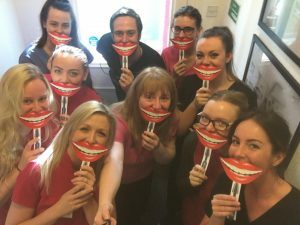 Why is National Smile Month important? Great dental health should always be a priority. Not only does it keep your smile looking great but it keeps your mouth healthy which can also affect your overall health. The campaign does vital work in encouraging people to keep up-to-date with regular dentist appointments. The old phrase ‘prevention is better than a cure’ is still true, and regular dentist visits can flag up any issues with your teeth and gums, so that they can be treated before progressing and causing further issues. The friendly and professional Brite team are on hand to book you an appointment to kick-start your National Smile Month. 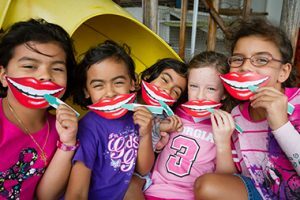 What are the main goals of National Smile Month? As well as encouraging patients to see their dentist more often, the campaign also focuses on all-round dental health. One element of this is inspiring everyone to brush their teeth twice a day with a fluoride-based toothpaste, to fight tooth decay and minimise the need for dental treatments such as fillings. They encourage everyone to floss, and to try to stop smoking. 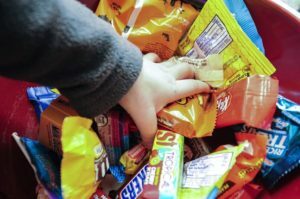 Another element of the campaign is to get people to cut down on the amount of sugary foods and drinks they consume, a leading cause of tooth problems, and even tooth loss. The Brite group can help to give you other great tips, such as information about sugar-free options, when and how to brush your teeth, and what acidic foods to avoid. National Smile Week also wants to educate the nation about good gum health. The campaign provides lots of information about how the health of your mouth and gums can affect your overall health, such as the link between unhealthy gums and strokes, heart disease, and diabetes. It is important to see your dentist if you notice any tell-tale symptoms such as inflammation, loose teeth, bad breath, or blood when you brush your teeth. At Brite Dental, our friendly care team are always at hand to care for your dental needs, don’t wait until a problem arises, make your next dental check- up today and let us do what we can to identify and prevent any dental issues. After you’ve attained a pearly white smile, why not continue your course of rejuvenation with first-rate facial aesthetics. Brite Dental offers an incredible range of facial aesthetic treatments to complement your dental makeover, with some of the quickest and most effective anti-wrinkle injections and dermal filler treatments around. Our treatments are performed by our highly-experienced practitioners utilising the best technology and tried and tested techniques. Our bespoke treatment options give you plenty of choice, whether you’re looking to smooth out lines and wrinkles, or add volume to more depressed areas of your face. Why Choose Facial Aesthetic Treatments? The tissues of your face are subject to daily stresses from a whole host of factors. Simple ageing effects can cause a build-up of lines and wrinkles, while sun exposure, poor nutrition decisions and smoking can exacerbate things further. Even simple things like smiling can cause lines and wrinkles to develop on the face prematurely. If you’re noticing your face is ageing faster than you’d like, facial aesthetic treatments are a great way of combating these effects in a fast, efficient and non-invasive way. One of the most popular facial aesthetic treatments available at Brite Dental is anti-wrinkle injections. Millions of people across the world choose this non-invasive, non-surgical treatment every year to help reduce the visible signs of ageing. These gentle injections help reduce the severity of lines, creases and wrinkles caused by facial muscles. Each injection blocks nerve impulses, reducing overactive movement in the muscles that tend to cause these wrinkles. Treatments can take as little as 30 minutes, with quick and instant results that provide dramatic rejuvenation after your first course. Lip fillers are becoming more and more popular with both men and women. Lips are some of the most prominent features of the face, so it pays to invest in their appearance. Lip fillers can enhance the natural shape and volume of the tissue, giving your face an instant lift. The process simple. One of our expert practitioners will inject dermal filler to the target area, then gently smooth out the material to provide your lips with natural plumpness and volume. Again, the treatment process is quick and easy, with most individual treatments taking as little as 30 minutes. An ideal choice if you’re looking for quick, easy and noticeable results with no downtime to your schedule. Ready to discuss facial aesthetic treatments? Get in touch with the team at Brite Dental today to arrange your consultation. What’s more, our complimentary consultations provide you with plenty of insight when it comes to discussing what treatments are best suited to you and your individual needs. To speak to the team, call your nearest branch direct or drop us a message via the online enquiry form with your query.